GoBidet the easy to use, easy to install, economic answer to personal hygiene. 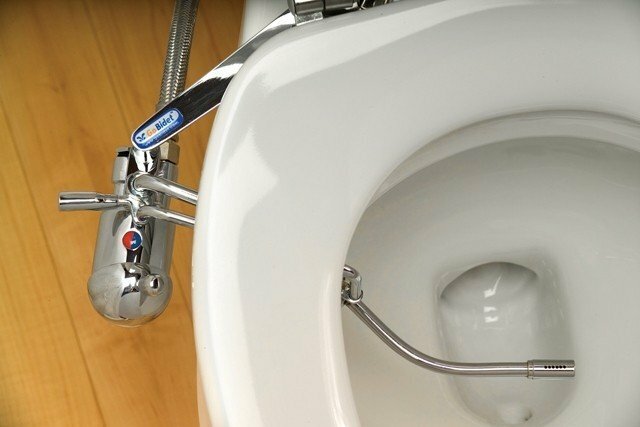 Now you can get all the benefits of a stand alone bidet that could cost you hundreds to buy and more to install with our lightweight chrome attachment. 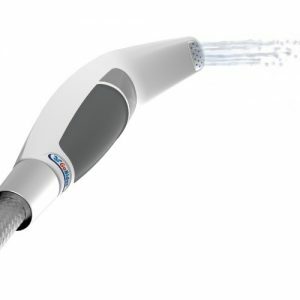 Now available to the public, GoBidet, by Apollo Bidet is their simplest natural/warm water attachment. Designed to sit under your toilet seat. 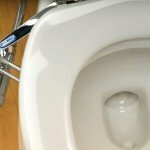 The toilet attachment is an educated consumers answer to the expense and hassle of installing a stand alone bidet. Adding the GoBidet to your existing toilet will not only save you time and money but gives you all the benefits of a bidet. Traditional bidets take up additional space from your existing floor plan. 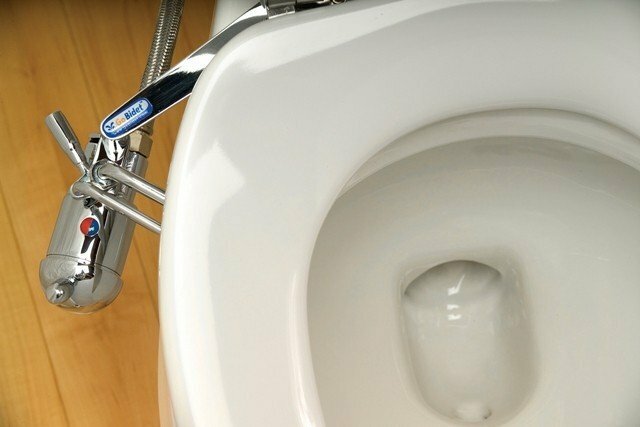 There’s also no need to call a plumber because GoBidet is designed to be installed easily in minutes with a few simple tools. 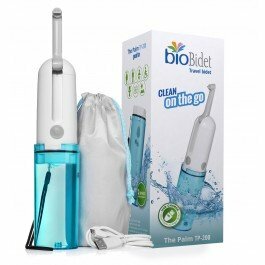 For pennies on the dollar you can have the luxury of the personal cleansing system. 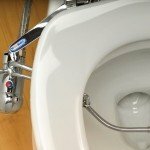 Bidet have been used across Europe for hundreds of years and in million dollar homes and luxury hotels here in the U.S., and now right in your own home. GoBidet will give you the comfort and confidence you are looking for with an easy to use single knob. Located along the side your bowl for your convenience,it adjusts both spray pressure and temperature. It’s so simple to operate even a child can use it. Now you can get instant relief from discomfort of irritation and other annoying problems and be confidently clean naturally. The six hole spray nozzle creates a large spray area giving you a pleasant, comfortable and complete cleansing experience. The spray nozzle also retracts to the side of the toilet when not in use, so your GoBidet is discreet and unobtrusive in your bathroom. Made of electroplated all brass construction and available in easy to maintain chrome, GoBidet is engineered to be the ultimate in bidet toilet attachments. It needs no batteries or electricity to run so you can be sure your GoBidet is standing by ready to work whenever you need it. This product is a must have not just for people with health related issues but for anyone interested in maintaining a healthy lifestyle. It’s all natural cleansing promotes good health choices for the entire family. For comfort and ease of use, and the confidence of being fresh and clean, GoBidet is the clear choice for you and your family. 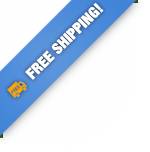 For a warm water cleanse a hot water installation kit is required. Note: Your new GoBidet system comes with the option to be installed as a cold water only system or a hot and cold water system. This unit is made to mount on both regular/round or elongated toilets. 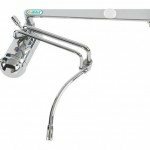 If you are installing a bidet system onto a one-piece toilet you will need to replace the support bracket on the unit with the longer support bracket # 2003-09. 1.) Firmly holding the bidet system body remove the 9/16" chrome nut located under the GoBidet label by unscrewing it with a 9/16" wrench. 2.) 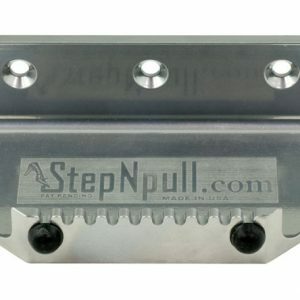 Simply replace with the longer support #2003-09 bracket and tighten 9/16" chrome nut. 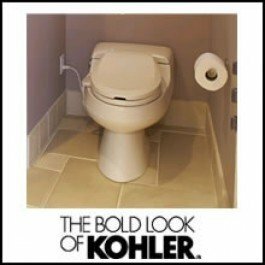 Note: Some regular and one-piece toilets are fitted with French contour seat that will not allow your bidet system to perform properly. Reminder: Keep your Regular or #2003-09 bracket for future use, should you need to change toilet. 1 Remove toilet seat 2 Center support bracket (G) on right side of toilet as shown. 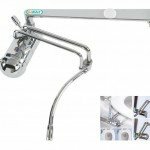 Insert bushing (C) through top and secure from bottom with plastic washer (D) and bronze nut (E) before completely tightening move shower arm (H) to it's maximum extension, moving the support bracket (G) until shower arm (H) is in the center of toilet. 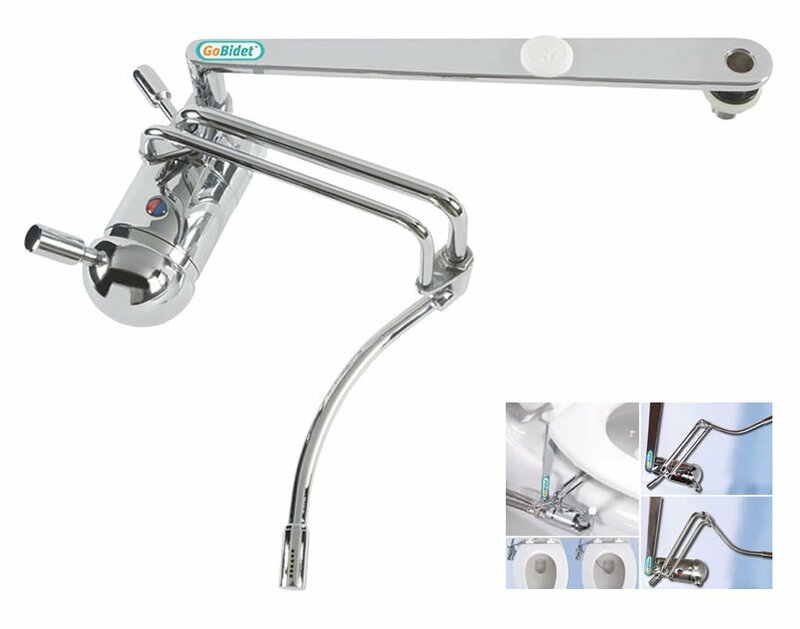 (on retracting – shower arm (H) should fall beneath toilet rim). 3 Once this is done finish tightening support bracket (G) in place. 4 Place plastic spacer (B) over left side opening as shown in Fig.1, and proceed to replace toilet seat cover back to its original place. 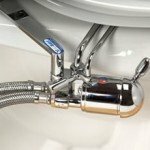 Note: Distances for hot water supply vary in all cases, therefore flexible hose for Hot water connection is not provided with the system. How to use your personal hygiene system (1) Once you are seated, with your right hand move lever (L) towards you, to position shower-head to the center of the toilet bowl. For better aim one can always move lever (L) back and forth to find a comfortable position. (2) As shown in Fig.3 proceed VERY GENTLY to move knob/handle (K) backwards until you receive a soothing water pressure. By turning knob/handle (K) from side to side you can graduate the desired temperature (See Fig.4). 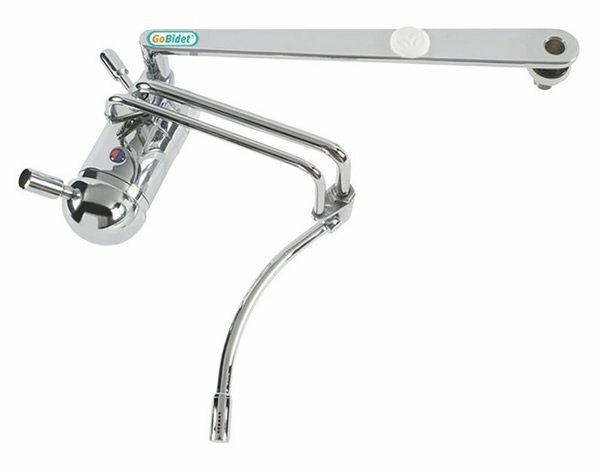 For cold water wash only, you can position knob/handle to blue indicator side for permanently, and simply push back and forth to activate water flow. (3) Once you feel freshly cleansed, turn off your bidet system by pushing knob/handle (K) forward as shown in Fig.3 Then proceed to move lever (L) back to the right to get shower head in its original position for future use.